When you want commercial electrical services performed on time and within your budget, look no further than Frederick Electric Company. We are experts at completing work to your specifications. Count on our skilled technicians to install specialty electrical systems for your commercial and industrial projects. We take pride in completing our jobs right the first time. Our specialists can perform industrial work that includes precision and detail oriented compliance requirements. We currently provide maintenance and electrical upgrades for a food manufacturing plant based in the Frederick area. Contact us today in Frederick, Maryland, for more information about our commercial electrical services. 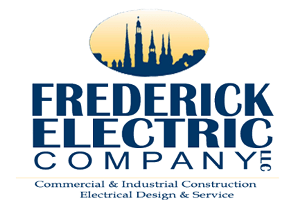 Frederick Electric Company in Frederick, Maryland, is an electrical contracting company serving residential, commercial, and industrial customers since 1996. We serve customers in Frederick, Washington, as well as Carroll, Howard, and Montgomery Counties. Frederick Electrical Company's management personnel have over 90 years of combined experience. Our service technicians are capable of handling any job, large or small, from installing a receptacle or lighting fixture to troubleshooting and Addressing power quality issues. We can handle any needs that should arise, be it commercial, industrial, governmental, or residential. Our associates are qualified to perform an array of tasks, as well as utilizing their individual areas of expertise. We participate in apprenticeship training.